“Mommy, mommy look at how fast I can put this puzzle together!” my 6 year old screamed at the top of her lungs. I watched as she carefully flipped the puzzle over onto the floor in place. Next she placed them, one by one, back onto the emptied puzzled board in the exact same order as she had flipped them. She completed the puzzle in a matter of seconds and boy was she proud! Using this method, it really was record-breaking! Enter dilemma… I had a decision to make. I could simply congratulate her and rejoice in her “success” or I could burst her excitement and explain to her that she had not succeeded, but instead her shortcut could actually be considered cheating. In all honesty I thought long and hard about this one. She was happy with the job she did and I was in the middle of folding the first of the six loads of laundry that had been blocking my doorway for the last five days. Walking away from this one would have been an easy response. I took a deep breath and decided to break the news. She was crushed and melted right before my eyes. “But it’s so hard that way, mommy,” she whimpered. She was correct. Putting a puzzle together can be difficult. It takes patience and concentration. Many times it’s simply trial and error when trying to figure out which three-legged piece fits where. However, to count a puzzle completion as a success you have to start with the pieces completely disarrayed. It’s the true definition of putting a “puzzle” together. When parenting our children, we have to be committed to setting a standard of truth. We cannot lower the bar or change the rules when we are tired or preoccupied. Whether the task is as simple as putting a puzzle together at six years old or a more complicated scenario like how to handle dishonesty or failure when she’s a teen, our first priority is bringing them to a standard of truth- God’s truth. Today, I challenge you to avoid the shortcuts when parenting your children! Don’t ignore the dishonesty or lower the standard in areas where they struggle, regardless of how minor it may seem. Challenge them to rise to a level of truth in all areas of their lives now, in order to create a sure path for them to follow when they begin to walk alone. 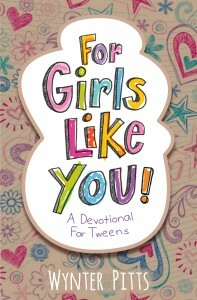 Wynter Pitts is the founder of For Girls Like You, a ministry to girls that includes a print magazine. She has a drive to introduce young girls to Christian values so they can walk passionately and boldly. A native of Baltimore, Wynter resides in Dallas, Texas, with her husband, Jonathan, and their four daughters. 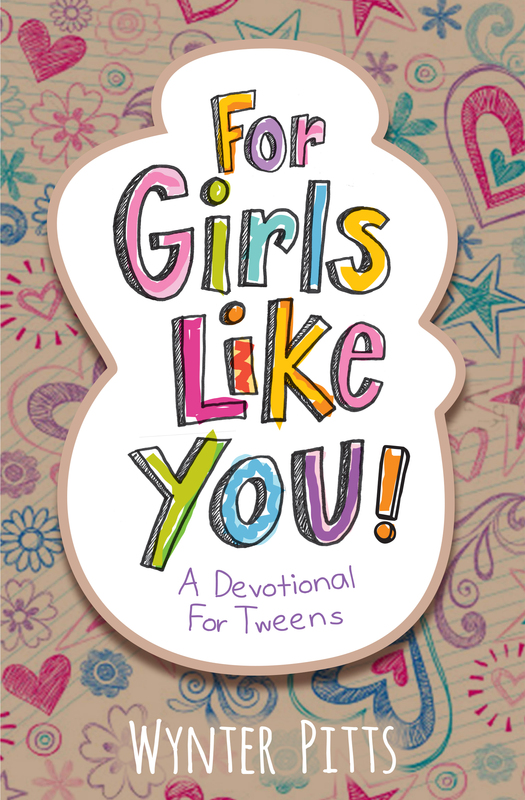 If you have a tween daughter, get a copy of the new For Girls Like You Devotional for Tweens here and visit www.forgirlslikeyou.com for encouragement, conversation starters and tools to encourage you as you raise a generation of Christ-followers and world changers! Being consistent is a challenge and so important. Very good post. Wow, so true about how we have to set that standard of truth for our children to see. That devotional books sounds great too. I know some tween girls that could use something like that to read. Thanks for sharing your blog! Wynter, as an ‘older’ reader (i.e., grandmother) I can ‘amen!’ your thoughts here. Avoiding shortcuts in parenting is a wise idea…….the fruit is so much more lasting. I will say, after raising my own two children and as a Nana now, that God’s grace covered a whole lot o’ mistakes. He truly redeems everything. Saying ‘hi!’ from the Small Wonder team. Thanks for linking up! I love that! Such wise words! “Grace covers…” So much like the powerful scripture 1 Peter 4:8. Thanks for reading today! I love this! It makes so much sense. It seems tempting to take the shortcuts when parenting, but all it does is teach our children that it is ok to do the same. Sometimes the shortest way home is the longest route. Shortcuts don’t pay off! How very true. A lie is a lie in thought, word or deed, no matter how small it may seem. But it’s so easy for us to just gloss over the little things sometimes. Very true. As children of God we are told to “Speak the truth in Love.” Letting your children believe a lie, no matter how small, is not truly loving them and will set them up for failure later on. Thank you for sharing. I’m glad I found your post at the Raising Homemaker’s link-up. It’s so hard when trying to make those decisions, but you’re right! In the end it’s best for them if we sit down and talk through hard things, whether it be “cheating” on a puzzle or cheating on a test. I have always been the type of parent to be brutally honest with my kids. I don’t “lie” to them just as you didn’t in the scenario above but then again I’m just a brutally honest person all together. My Mother has scolded me and insists that “bursting” my children’s bubbles and telling them the truth is bad parenting but I disagree and am so happy to have found this post!